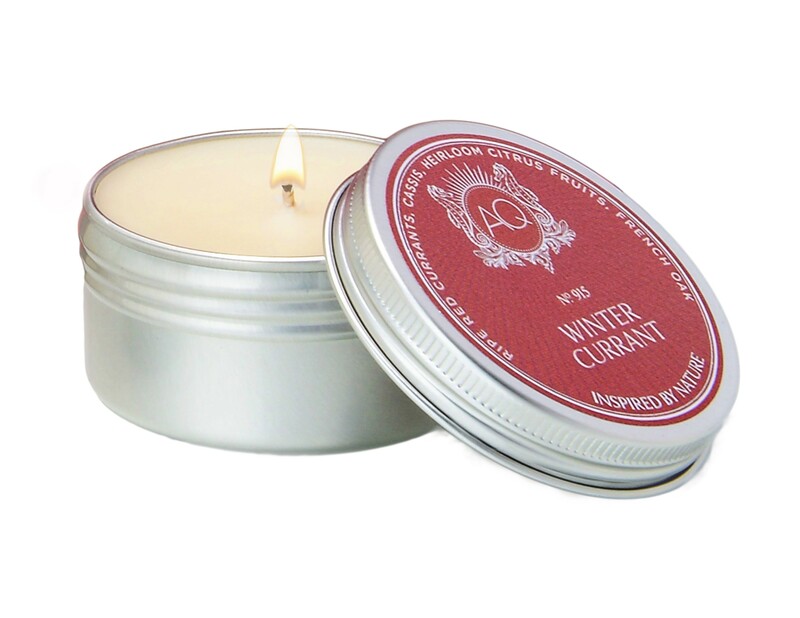 Aquiesse Winter Currant Travel Tin Candle is extravagant and lavish. Ripe red currants, exotic cassis and an heirloom of citrus fruits magically blend with the woodsy, elegant aroma of antique French oak. Bright and merry, Aquiesse Winter Currant will put you in a celebratory mood.